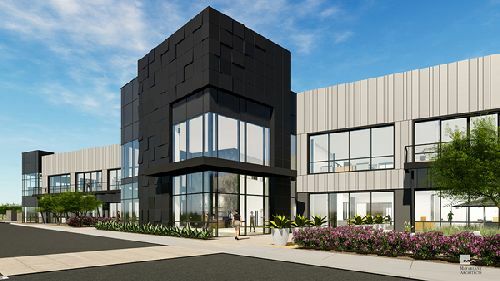 Bioscience Properties Inc and Singerman Real Estate LLC have secured $70.5 mil in financing on a two-property, 230k sf life science portfolio in San Diego’s Sorrento Mesa area. Loan proceeds are being used to convert the buildings into Class A laboratory assets. The portfolio comprises The Peak at Wateridge, a 180k sf, two-story office/R&D building, and 6325 Lusk, a 50k sf, single-story life science building. Overall, the portfolio is 65% leased to two tenants: Abzena PLC and TriLink Biotechnologies. The Peak at Wateridge sits on 11.09 acres at 10770 Wateridge Dr, while 6325 Lusk is positioned on a 5.54 acre-site. Both properties have easy access to major freeways, including the I-5, I-805, I-15 and I-8, among others. San Diego is considered one of the top three life science markets in the country and the immediate area surrounding the properties is home to numerous life science companies, including Nuvasive, Thermo Fisher, BD & Co and Inovio Pharmaceuticals. Tim Wright, Zack Holderman, Olga Walsh and Daniel Pinkus with HFF arranged the five-year, floating rate loan. According to Holderman, the life science sector in San Diego should continue to grow, with an excellent base of local talent and commitment to research and development within the industry.